Planning to move offices follow this guide to moving an office weather its – in few weeks or maybe months. If you’ve never managed an office move before that might not sound like such a big deal – but if you have, you’ll know how stressful, time-consuming and laden with hidden disasters the process can be. in no time you’ll be sitting in your new modest but perfectly kitted-out new HQ, we thought it only fair to share how to do it. 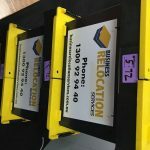 Business Relocation Services will be revealing the secrets to organising an office move blissfully-free of the usual panic phone calls, lost crates, and furniture/fitout failures. Balancing functionality, cost and looks can be difficult but take the thing that is most important to you and make that the pivot point of the other two. Don’t be fussy about looks, if you’re a small business on a budget – no one expects you to be featured in the next edition of Luxury Interiors Weekly.Choose the lease that suits you and meets your team’s requirements. If you need it right away, go for a flexible lease. These suit start-ups, as you can leave on short notice if you need to suddenly slash costs. Beware that opting for a non-flexible lease can mean up to three months negotiation time before the contracts signed. Get advice on negotiating the terms of your lease in this feature. Always check prices against similar office space in the area. • Most crucially: is it big enough and can you afford it? • Is there room for you to expand? • Is the office serviced or unserviced? • If it’s unserviced, how much extra will it cost you to put in all the fittings you need? • What’s the security like, in the building and the area? • Will you have to pay for your own locks? 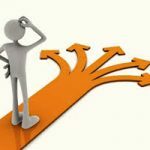 • Who is responsible for maintenance – management or you? • Are you forbidden from doing anything? • Are you allowed to redecorate or install external signage etc? • Will you have access 24/7, or do you have to be out the building by a certain time? • What are transport links and parking like? Will this inconvenience visiting clients? • Is there a shower? • Is there a place to store bikes securely? • Is there a lift or do you have to walk up several flights of stairs? • Is there a kitchen you can use? • Do you have a drinking water tap? • Is there air con/central heating? How hot/cold can it get all year long? • Is there any construction works in progress nearby that can probably disrupt your operation, and how long till they finish? • Check all the windows open. First things first, with this guide to moving an office: “You massively need a project plan. There’s just so much to remember. It’s crucial. Your plan is your checklist – and your sanity. this is what your basic plan should look like. You can use it as the outline of your own checklist and plan. But remember we were on a tight time-scale – you may be able to spread these tasks out. • Measure new office do some space planning here you want to get it right before you move forward. • Get a fitout company to survey new office ( fitouts company usually needs a month’s notice – ask your new building manager if they know or recommend any companies that have worked in the building before. • Manage and maintain the planning process ensure all in in order and progressing to plan. • Step in and resolve anything you feel is going to cause issues with your scheduled move date. • Figure out how to get the essentials in place for when you arrive in new office: drinking water, internet, a phone line, and anything else you need. Choose your supplier carefully. Look for the range of products and the stock on hand, you don’t want to be waiting for goods from overseas. Have the goods delivered in time and aloe for the assembly and installation time once you get it to your new facility. Plus, it’s standard practise for them to assemble all the furniture when they deliver it – so no Ikea instruction-leaflet nightmares for us! Some suppliers can take up to six-eight weeks for your furniture to arrive, so if you go elsewhere, be prepared for that. Make sure they do deliver, whoever you go for – it’s a huge pain if they don’t. Remember to order everything the first time additional items can slow the initial order. When it comes to safeguarding the future of your employees’ spinal vertebrae, ‘The chair is key,’ “Get a flexible chair that lets you move and doesn’t hold you in a rigid position. The key word is ‘synchronised’ or ‘synchro-chair’, which means the back and seat work in conjunction. Take into consideration all the OH &S requirements of your fitout and new furniture. “Foot stalls can be great for someone that is short, this is to keep them comfortable. You may even consider a portion of sit to stand desking or facilities in the fit out. We recommend lateral filing systems rather than filing cabinets to further free up floor space, but remember that tall storage cabinets can make space feel enclosed. Lastly, do not forget to draft an accurately-measured floor plan (or have professional do it). No excuses! You need to figure out how to keep things as quite as it can be in your new space. The basic rule is the more soft furnishings, the better. Get carpet and curtains if your office is echo-prone – or at least a few cheap rugs. Wallpaper can be a great help as well, however, though any vertical surface will absorb noise. Think about ‘sails’ feature walls and artworks, which hang on walls and from the ceiling, dividing partitions/screens or a breakout area for meetings. Or you can buy artworks that are purposely designed to absorb noise effectively, they may be a little expensive though. Apparently, you will really need a professional removals company. “You’re too important to the organisation to do it yourself,” Remember. Errors will lead to work disruption. Check if employees are okay with lifting as well: be careful against any false advertisements offering five-figure sums to people who’ve been injured at work. Try different websites and look for the best removals company then settle to at least three quotes that work for you. You’ll need at least two removal people, and they’ll have all the appropriate equipment insurances and processes to make your move work for you and your business. Give them a full inventory of everything that needs moving so they can bring the right equipment and vehicles. Check with them that they know the buildings and have spoken to all the building managers etc so things go to plan on move day. Make sure they have the right insurance – if they drop something, you need to be covered. Giving yourself an overlap of a couple of days between leaving your old office and entering your new one can take the pressure off, but it’s not essential. You may have your crates delivered ahead of time. Make sure to pack early and pack the less important first. You need to get your IT company to be involved with all your computers and servers so that the relocation of the critical equipment runs smoothly on your leave date (or before if you can work off laptops) and set them up again in the new office. Always have someone from your team overseeing the removals team when they bring everything to the new office, and for when the furniture is delivered. Check all items off a list to make sure nothing’s missing. The furniture company or removals team should set up furniture and place everything in the right place – keep your floor plan and numbering layout system close at hand. Cancel meetings for a couple of days either side of the move, or remember to set out-of-office messages on move day. Forward calls from your old office to someone’s mobile until your new phone line is put in. Then, when you’re settled, send out your new address notification to contacts or even plan an office welcome party.